This summer we celebrated the birth of our ninth grandchild. 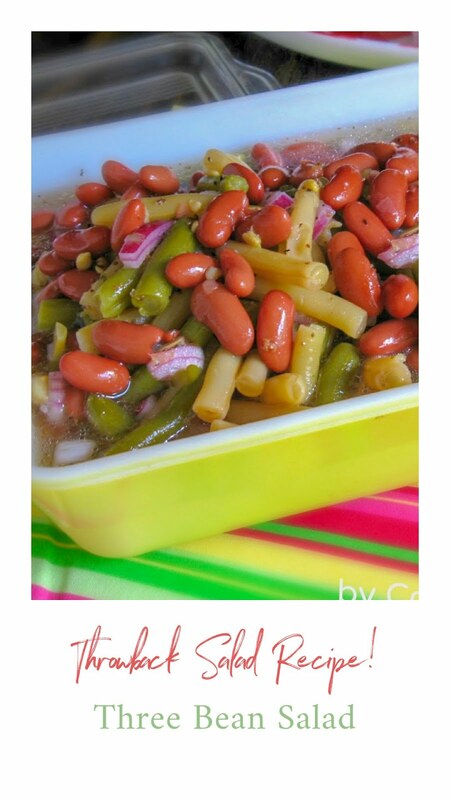 I am continuing a series of posts with my daughter's favorite food, which we served at her baby shower. 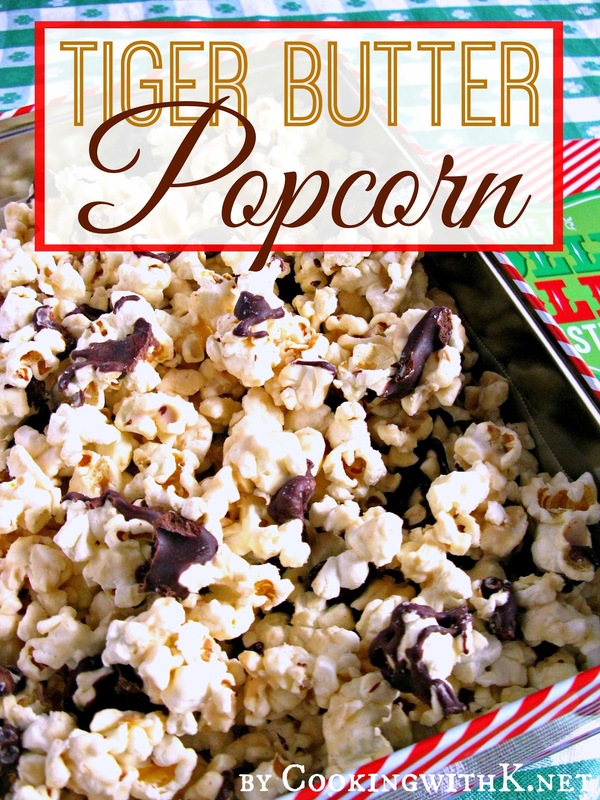 Tiger Butter Popcorn is a recipe she created from her favorite confection, Tiger Butter Candy. Everyone enjoyed it so much at the shower, that it was gone before I was able to get a good picture. I made some this last week to send out with our Christmas treats and we couldn't stop eating it ourselves. Ha! Ha! It is just as easy to make as the candy. You use the same ingredients, just a little less peanut butter so it will harden on the popcorn. It turns out fantastic. I want to introduce you to my newest grandson, Isaac Odell. He is just the sweetest little guy. His name means laughter and it is so fitting for him. He is always smiling and giggling. You can tell I am a super proud Grandma! Isaac has four brothers and they each were given a biblical name and the family name of a relative whom they were named after. I love the fact that they have biblical names and they carry on family names as well. Recently, I received a book for review. 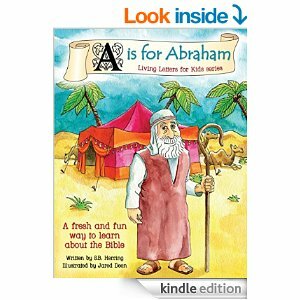 A is for Abraham: A Fresh and Fun Way to Learn about the Bible (Living Letters for Kids Book 1) is the book. No incentives were provided for the review. Opinions stated are my own. 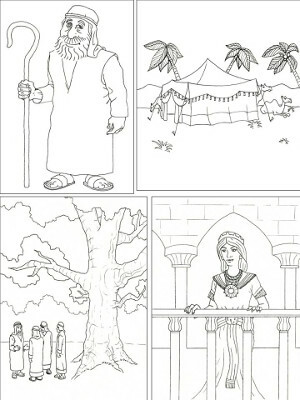 Learning about names of Bible characters is what the book series Living Letters for Kids is all about. It starts with the letter A for Abraham, the Father of our Faith. I am so excited about this book telling the story in playful rhymes and rhythms so that the story is easily captured. “The rhyming pattern makes it easy for children to follow, understand, and remember. Each truth enriching story will impart a memorial in your child’s heart that will bring about a reflection of God’s faithfulness throughout all generations!” — Jennifer D.
One reason the book is so close to my heart is that in the first book of the series, A is for Abraham, the biblical Abraham walks out on faith and believes for Isaac's birth. There are free printables available. 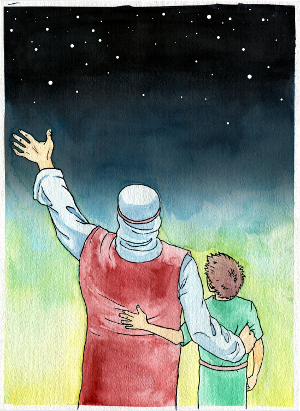 One of them is a beautiful color picture of Abraham looking at the night sky with Isaac. Don't wait! Click on the Amazon link above and order your copy today. Spread large sheets of wax paper on counter-this will be used to pour pop-corn mixture to harden. Pour popcorn into a very large mixing bowl. Place almond bark in a microwave safe bowl. Use the high setting on the microwave to start melting the almond bark. Heat for 30 seconds, remove from microwave and stir. Keep repeating this process. It will take the bark 2-4 minutes to melt and be creamy smooth, depending on how hot your microwave gets. Add peanut butter and stir until all is incorporated and mixture is creamy smooth. Pour over popcorn. Using a large spatula, fold peanut butter mixture around the popcorn until all of the popcorn is coated well. Spread coated popcorn mixture onto wax paper. In a small microwave safe bowl, add semi-sweet chocolate chips and oil. On high, melt semi-sweet chocolate chips. At 30 second intervals, stir chips. It will take 1-2 minutes for the chips to melt and be creamy smooth depending on how hot your microwave gets. Using a fork, drizzle melted semi-sweet chocolate chips over popcorn. Leave popcorn on wax paper until hardened. As soon as the popcorn is hard, break up into chunks and store in an air-tight container. My Disclosure: There are amazon.com affiliate links in this post. What a fabulous idea! 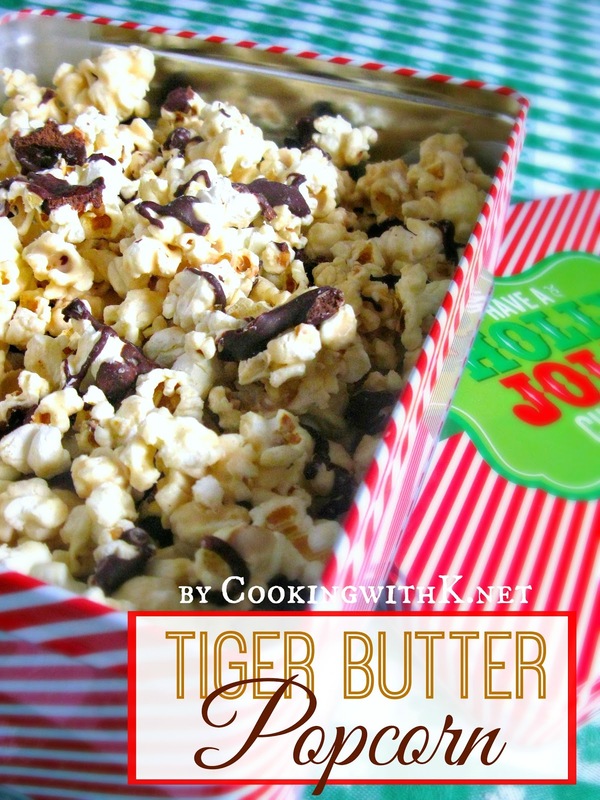 I made some Tiger Bark for the holidays too...love it's creaminess, but would REALLY love it on top of crunchy popcorn. So glad you shared. The book series sounds fabulous and your new grandson is a dollbug for sure. Those sweet smiles just melt you into a puddle don't they? How wonderful. Your Tiger Butter Popcorn looks delicious - what a lovely snack! And you new grandson is adorable!! 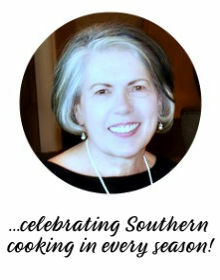 Thank you April….and thank you for stopping by! Thank you so much for attending week 15 of #PureBlogLove and linking your fantastic blog post. 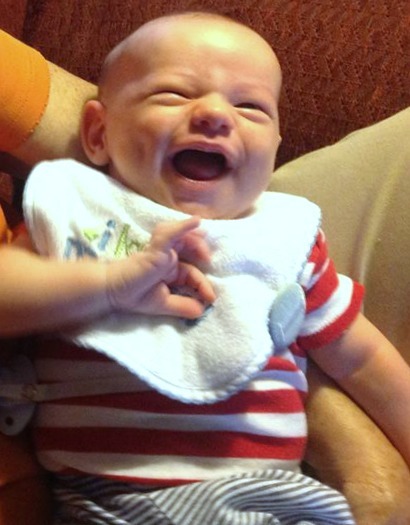 This popcorn sounds lovely, and your new grandson is just adorable :) Congratulations! I can't wait to see what you have in store for our party next week Thursday 8 PM EST- Sundays at midnight. Your post has been added to the #PureBlogLove Pinterest board for all to see :) Have a great day! Another great recipe. I just received a retro popcorn machine for Christmas so now I have another reason to play with it! Thanks for linking up with us on the Oh My Heartsie Girls WW. This looks yummy! I bet your grandkids love coming to visit you! 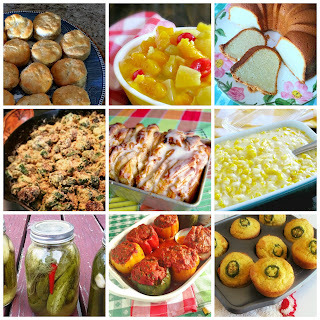 Thanks for linking up at OMHG WW this week!